ANTIOXIDANT RICH TRIPLE TEA EXTRACT: The triad of calming Rooibos Tea, White Tea, and Green Tea Extract, merges into the perfect combination to work as an antioxidant remedy, defending skin from environmental factors for healthier, supple skin. Great acne face wash treatment. 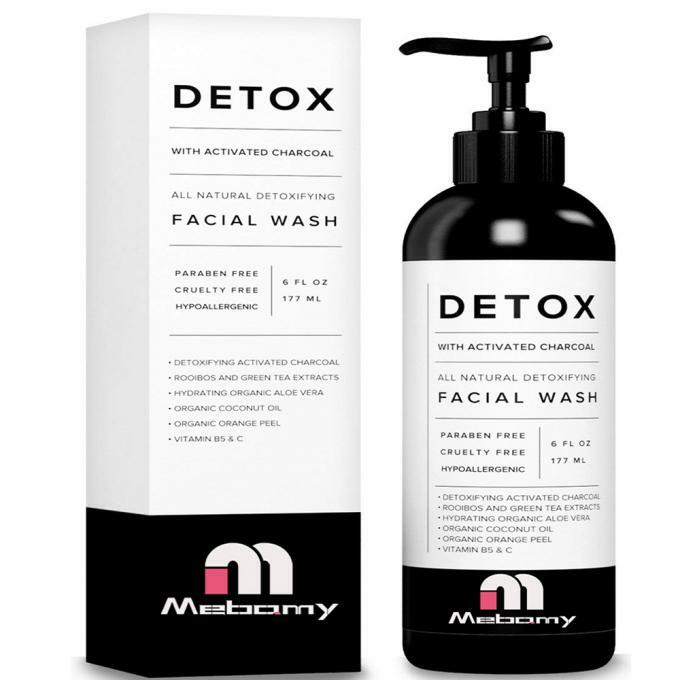 NATURAL SKIN CARE WITH ANTI AGING VITAMINS: Shield your skin from irritants and inflammation with this enriched gentle facial wash by locking in Vitamin C and Vitamin B5 to build a barrier layer that promotes healing and protection. 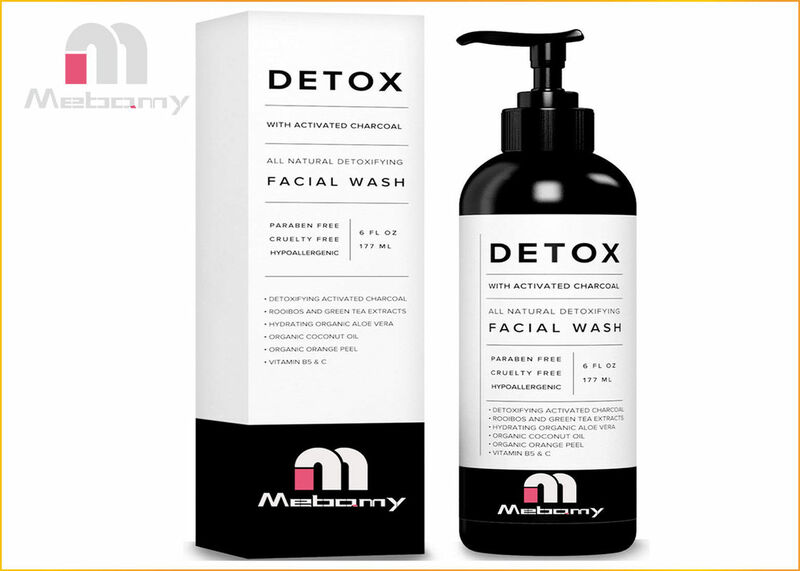 100% NATURAL: Paraben free, cruelty-free, and is hypoallergenic, this charcoal facial cleanser is suitable for all skin types, and is safe for sensitive skin. Your new secret weapon for fresh, clear skin. Face Wash for Women and Men. Ingredients Water (Agua), Cocamidopropyl Betaine (Derived from Coconut Oil), Emulsifying Wax, Organic Citrus Sinensis (Orange) Peel Oil, Manihot Esculenta (Tapioca) Starch, Cellulose Gum, Xanthan Gum, Activated Charcoal, Decyl Glucoside, Organic Aloe Barbadensis Gel, Aspalathus Linearis (Rooibus) Leaf Extract, Organic Olea Europaea (Olive) Oil, Organic Glycerin, Organic Helianthus Annuus (Sunflower) Oil, Dimethylaminoethanol (DMAE), Camellia Sinensis (Green Tea) Leaf Extract, Organic Cocos Nucifera (Coconut) Oil, Tocopherol, Sodium Hyaluronate, Camellia Sinensis (White Tea) Extract, Panthenol (Vitamin B5), Calophylum Tacamahaca (Tamanu) Seed Oil, Parfum, Methyl Sulfynol Methane (MSM), Phenoxyethanol, Ascorbic Acid (Vitamin C). Size 120ml or other size. Wet face and apply cleanser to your hands. Add water and work into a lather. Gently massage onto face in a circular motion. Rinse with lukewarm water and pat dry with a soft towel. Use Morning and Night. Caution: for new users, test on a small area of your skin for a few days, and gradually increase to daily use if no issues arise. If irritation occurs discontinue use.